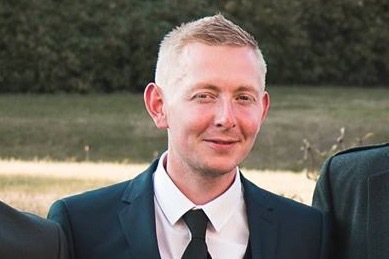 Father-of-two Scott Millar, 33, died in hospital hours after being hit by a vehicle on Argyllgait last May. Kyle McLachlan, 18, of Blacklaw Drive, and Finlay Hutchison, 18, of Osprey Road, both appeared at Dundee Sheriff Court. McLachlan is charged with causing Mr Millar’s death by driving without due care and attention at Argyllgait, at its junction with South Ward Road, on May 7 last year. He allegedly drove at excessive speed and collided with Mr Millar, then a pedestrian crossing the road, throwing him into the air. The car was allegedly damaged and Mr Millar suffered injuries from which he died later that same day at Ninewells Hospital. McLachlan also faces charges of failing to stop and provide his personal details, and of getting behind the wheel without a full driving licence or insurance. Hutchison is charged with permitting McLachlan to drive a car, thereby causing him to drive without insurance, at locations across the city including Seagate, High Street, Castle Street, Marketgait, Hawkhill, Argyllgait, South Ward Road, North Lindsay Street, Willison Street, Barrack Street and Ward Road. He is also charged with attempting to pervert the course of justice by stating to PC Steven Smith that his car and keys were stolen, while knowing that he had given permission to McLachlan to take and drive it, attempting to have staff at Industry nightclub delete CCTV footage and remotely intimating a reset of his mobile phone which had been seized by police. Both accused made no plea and the case was continued for further inquiries. Both were granted bail.